Made my first outing of the Bald Eagle season this weekend but the morning tide was not quite right. It was an early morning low, but a minus tide that would have exposed enough shoreline for the Eagles to actively feed on the fish. There Eagle that we did see for the most part stayed put up in the tall pine trees away from the beach. 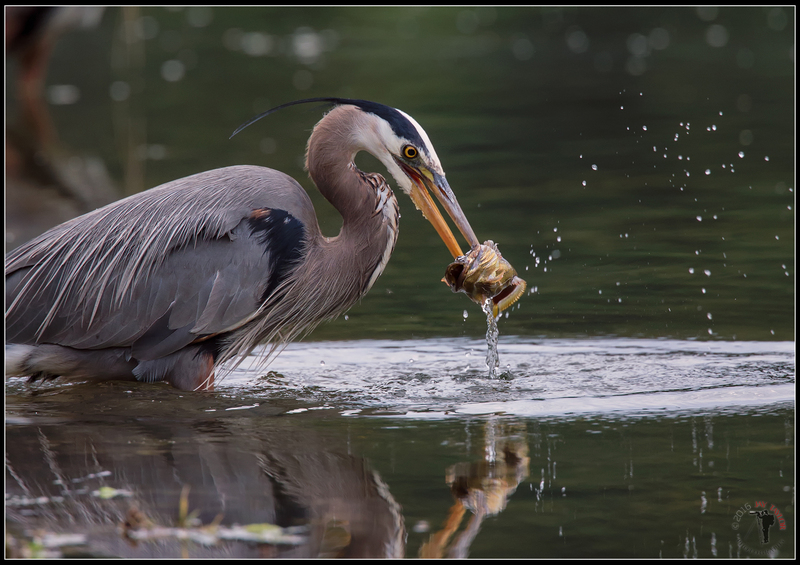 There were a few Great Blue Herons about they were not shy about submerging their heads in the water to pick up a meal. This particular youngster looked like he had his angling technique down pat. It was not a good morning to be a swimming around in his vicinity. Hopefully next weeks tides will kick the Eagle action in high gear. Processed using LRCC/Photoshop CC/ Nik Suite . Some of the more common birds are easy to take for granted or pass off as being not very interesting. Sea Gulls here in the Pacific Northwest are no exception, but if you take closer look at them you might notice some of the differences in the numerous species. 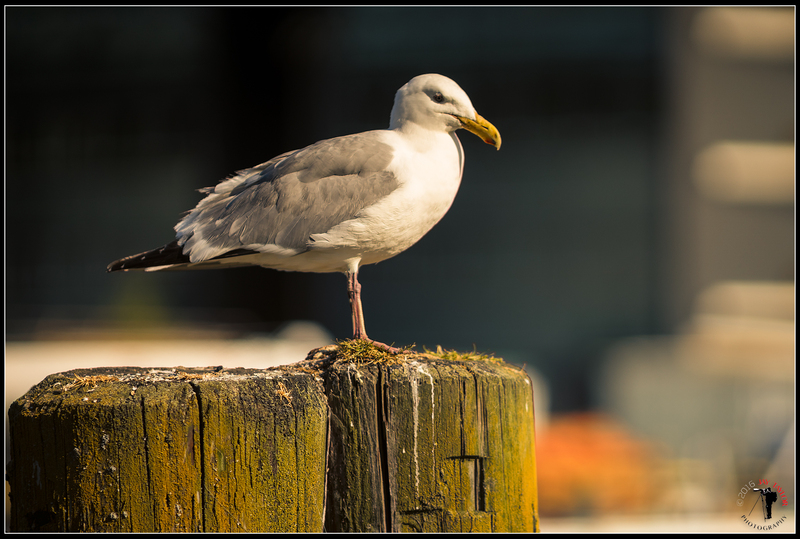 A couple of the most common around the Seattle waterfront are the Western and Herring Gulls. I was out this weekend testing out a new lens and this guy was kind enough to provide a couple of poses. This weeks bird is one you’re only likely to find along Pacific Northwest beaches or shorelines of lakes and ponds. 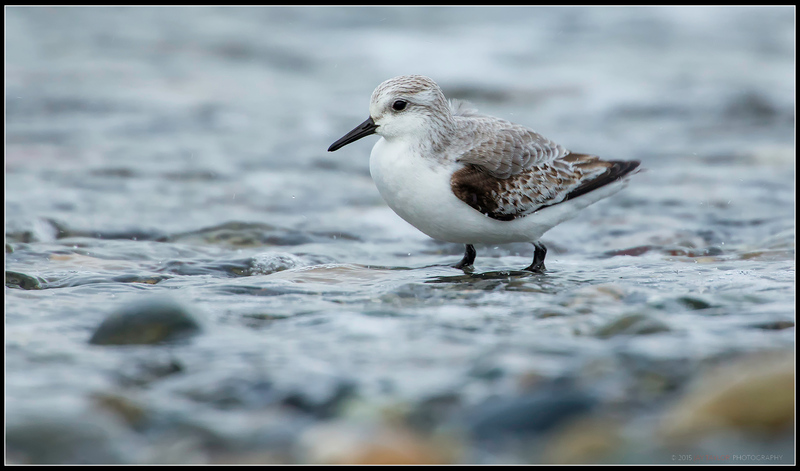 When not resting along the shoreline, Sanderlings are often chasing breaking waves along the shallows of sandy beaches in search of small prey exposed by the receding waters.These medium sized sandpipers usually stick to flocks of about a dozen birds. This one ventured out in front of the rest of his group which allowed me a chance to get an isolated shot of him. I haven’t found time yet this spring to get out for some new bird images. Just another shot from the archives this week. 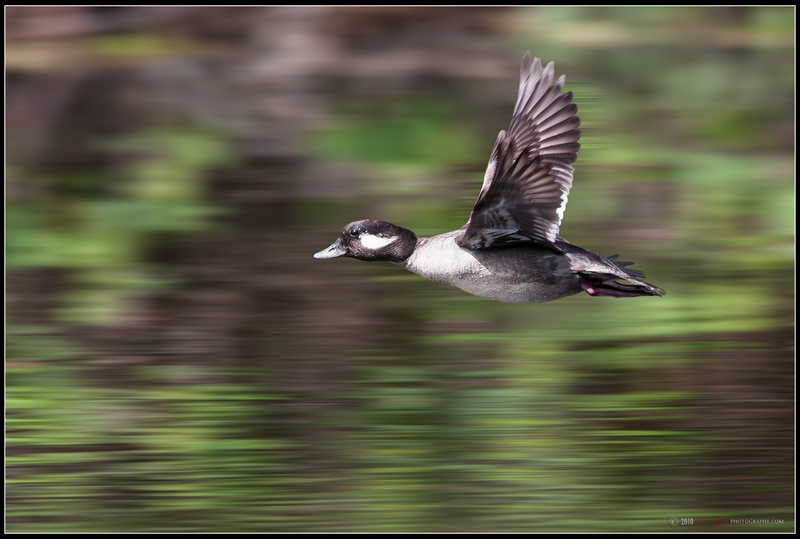 A little female Bufflehead jetting across a local urban slough. These guys get real skittish whenever they sense people are around. Processed with Lightroom 4, Photoshop CS6, Nik ColorEfx. It’s that time of the year again and I hope all of you survived Tax Day and got your returns finished. I filed just yesterday and was pleasantly surprised and relieved that we don’t owe the IRS. 🙂 Maybe one of these years I’ll get mine done earlier to avoid the anxiety. 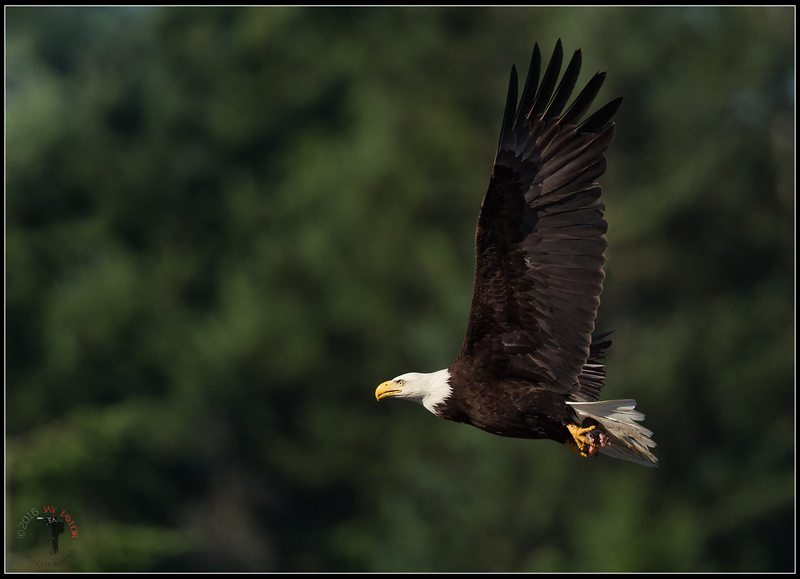 It’s also almost time of the year for Bald Eagle season here in the Pacific Northwest. Next month I’ll be making at least a couple of trips over to town of Seabeck on Hood Canal to capture a few images like this one. This weeks post again has something a little different from the usual bird photograph. Those of you who are regular viewers know that I’ve tried to expand my photography to include a more artistic techniques. Recently as well as painting, I’m experimenting with mono printing using a gelatin plate instead of a printing press. 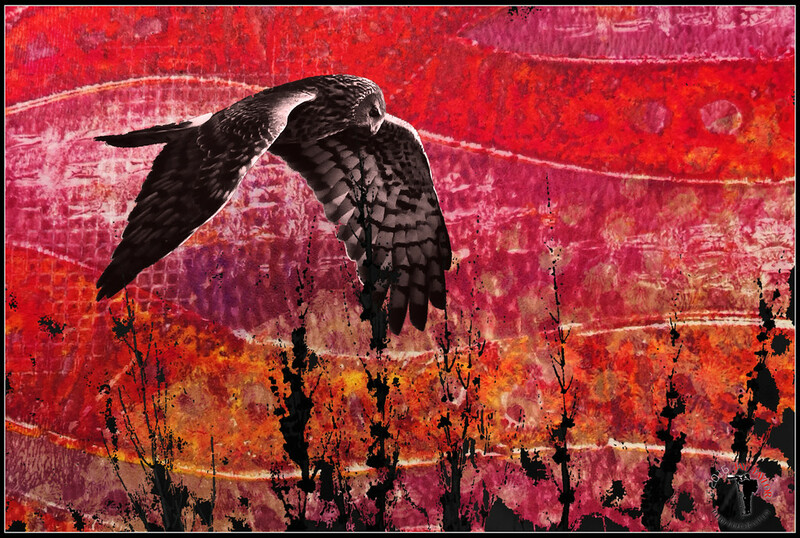 I scanned a couple of images of the prints and layered with different blending modes in an iPad program to use as a background for the image of a Northern Harrier. There are ton of options to be explored with this technique and I’ve also got some ideas for incorporating woodwork. Processed with Photoshop Touch, Filterstorm for iPad, Photoshop CC, Acrylic paint. 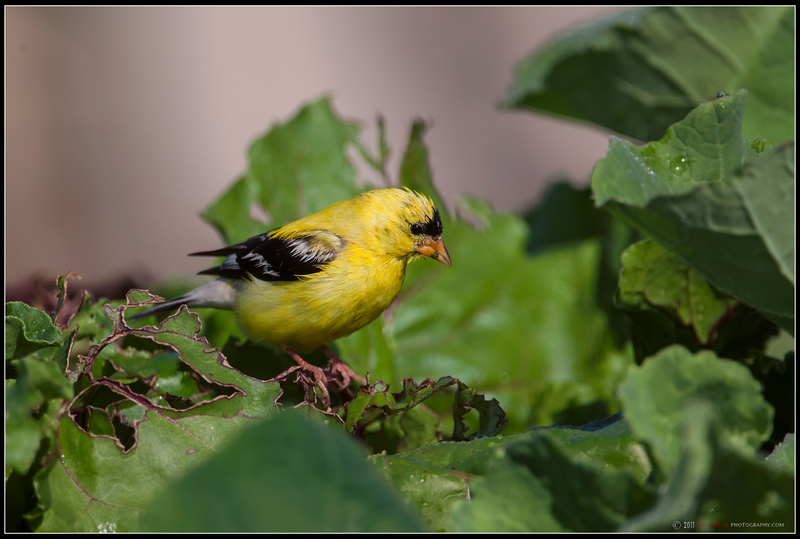 Week before last I posted a shot of an American Goldfinch and mentioned I might attempt a watercolor painting of the bird. I wasn’t too thrilled with my first attempt, but this second one I think might be worthy of presenting. I may try painting a few more other birds in the future as they are fun subjects and can be a bit of a challenge. Going back over some older images from the archives this week. 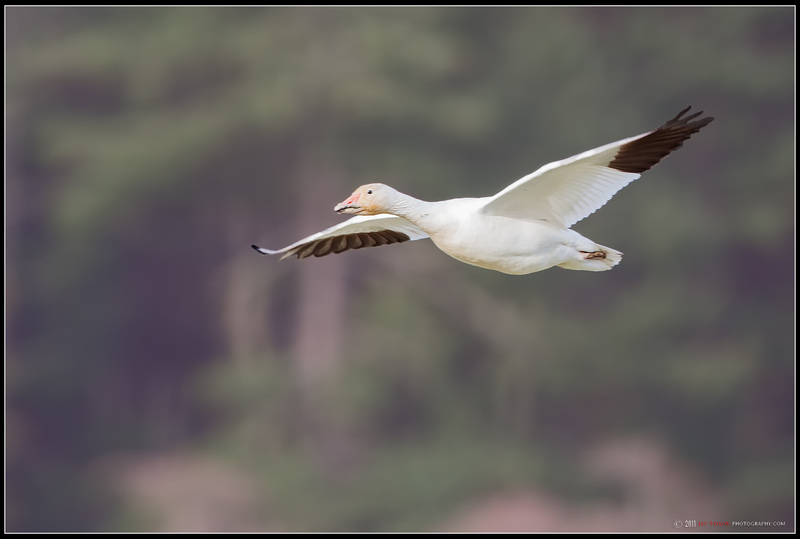 Some of the birds I never made it out to photograph this season are the Snow Geese that migrate through Skagit Valley. They travel in large flocks and stop to graze the open grass farm lands in and around the Fir Island area. Here is a shot of a single bird to show a little more detail of what they look like close up. 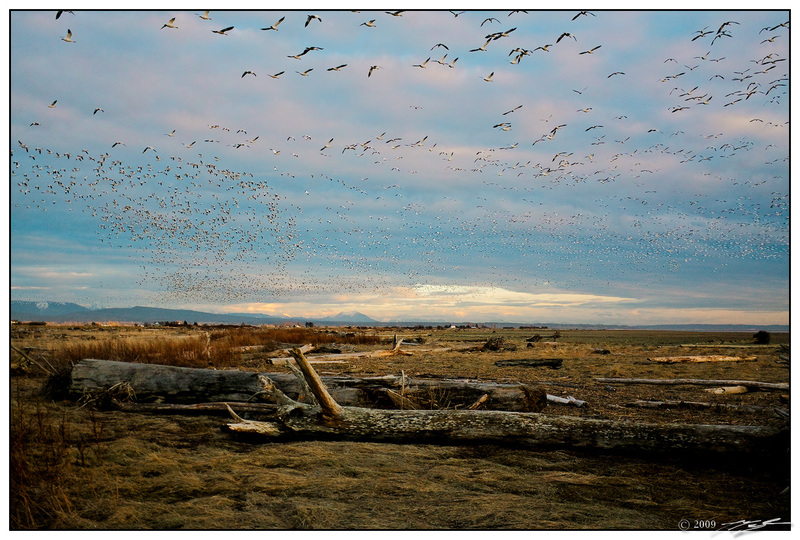 I’ve also included one of my favorite shots of a flock that was captured from an earlier previous outing as they flew directly overhead on their way back to their evening resting place across Skagit Bay. I’m a little late with this weeks post, but lately I’ve been devoting a fair amount of time to get back into sketching and painting; something I did a lot of while in college, but in my professional career have gotten away from. 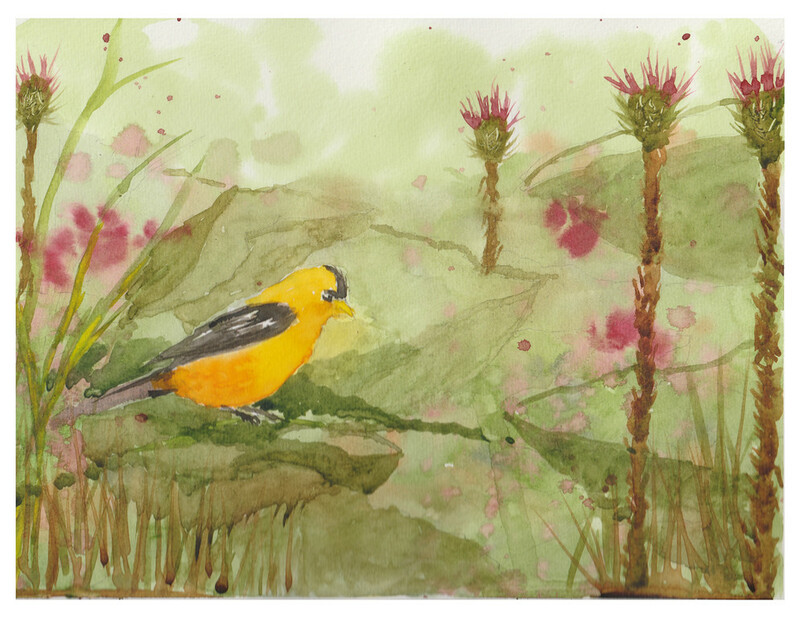 Recently I viewed a painting tutorial that used a Goldfinch as the subject. It reminded me of some of the images I had previously taken, as well as some I’d wished I’d captured. In the coming weeks I might also give that a try in watercolor. Until then here is one of my Goldfinch shots from a while back. Processed with Lightroom CC, Photoshop CC , Nik Define & ColorEfx Pro. The Black Skimmer is quite a fascinating bird to watch, especially when they are actively hunting. They glide just a few inches above bodies of water while dragging their unique bills below the surface to scoop up small baitfish. I’m working on a submission for panoramic images and thought this one might be a potential candidate. I’ve transformed it with some digital artistic effects to make it more interesting. Processed with Lightroom CC, Photoshop CC, Nik ColorEfx, Filterstorm for iPad.